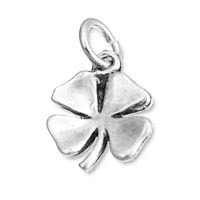 My Shamrock Charm (also called 4 leaf clover charm or lucky charm) are all .925 sterling silver and are approimately 18mm x 12mm. Each charm comes with a jump ring so you could attach it to most bracelets or necklaces you already own. 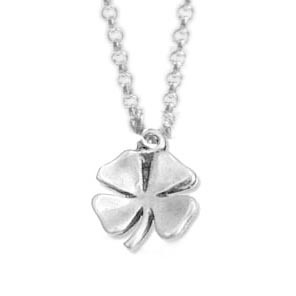 The Shamrock necklace is also all .925 sterling silver. The chain is 18" long. 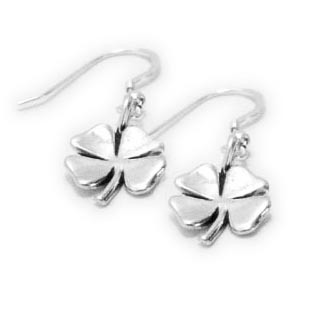 The french hook Shamrock earrings are also .925 sterling silver.